Religion in ancient Egypt explained the mysteries of the universe and acted as a social glue. The priesthood helped preserve old traditions that underpinned Egyptian culture and its hierarchy helped keep order within society. Religion and priests were central to everyday life in ancient Egypt. The long history of the priesthood meant that it played a crucial part in maintaining religious institutions, old traditions and the social structure. For most priests, daily life and duties depended largely on their gender and their rank within the hierarchy of priests. At the top of the tree was the high priest, or 'sem priest', the 'First Prophet of the God'. He was usually old and wise, and would have been a political advisor to the pharaoh as well as religious leader. On the next rung down were priests who specialized in watching the universe and interpreting its movements. Some were horologists, measuring the hours in the day. Others studied astrology, a discipline which was central to Egyptian mythology, architecture and medicine. The movements of the universe determined temple opening times, crop planting and the level of the river Nile. One of the most holy jobs a priest could have was to care for an oracle, which usually took the form of a statue. The importance of the job required these priests (known as 'stolists') to keep themselves as pure as possible. To do this, they would shave off all their body hair. The quest for purity also extended to the afterlife. Stolists were responsible for tending to the needs of the gods, making them symbolic offers of food and sealing the temple shut every night. The most common types of priests were called 'wab' or 'lector'. These priests were often in charge of funerals. They are usually pictured reciting prayers or carrying offerings for the dead. Most only worked part-time, perhaps for just one month a year. When they had finished their duties as priests, they would get on with normal life and go back to their other jobs. Whatever their position all priests had to obey a number of strict rules. They could not eat fish (which was seen as peasant food) or wear wool, because most animal products were viewed as unclean. Many priests took three or four baths a day in sacred pools in order to keep themselves pure and male priests were usually circumcised. The priesthood in Egypt had started out quite simply, with only a few temples for priests to look after. But as the empire expanded and the money began pouring in, the number of temples increased dramatically. This made the priesthood more important and far wealthier than ever before. In particular, the priests responsible for the major gods, such as Amen Re, held a lot of power. By the time Amenhotep III came to power, they were arguably more important than the pharaoh himself. 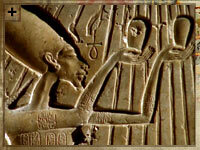 This is because only they could interpret the will of a god and the pharaoh had a duty to fulfill that will. The increased power of the priesthood helps explain why Akenhaten decided to build a new capital at Amarna and change religion. 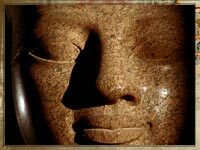 Instead of worshipping many gods, he decreed that the only god was Aten, the sun god, and that only the pharaoh himself could interpret his will. But Akenhaten's religious fervor brought the empire to the brink of disaster. After his death, his son, Tutankhamen, denounced him as a heretic. The old religion was brought back and, once again, powerful and wealthy priests controlled much of the country.